Sufjan Stevens's "The Age of Adz"
I like Sufjan Stevens more than I want to. The self-conscious contrarian in me tells me to resist him just for his status as an idol of Brooklyn hipsterdom. He's a pretentious white guy who plays the banjo, as well as half a dozen other instruments (including the oboe and the English horn). As such, he is beloved by the Williamsburg smarties, and he's the sort of artist who tends to gratify rock critics eager to validate their own pretentious white guyness. All that stuff is extra-musical, of course. 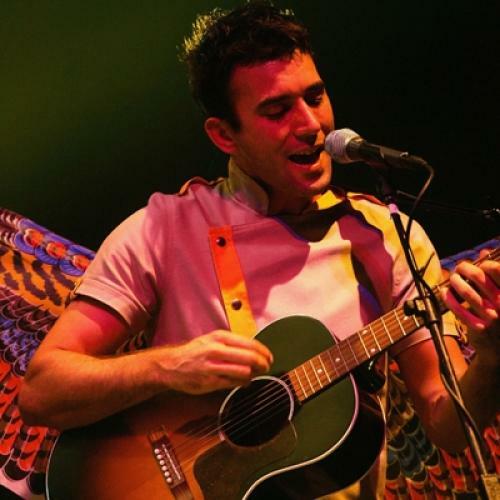 Danto be damned: Sufjan Stevens makes highly original, smart, adventurous, and appealing music. Last week, he released his first full-length album of new material in five years—half the length of his recording career. It's called The Age of Adz, in reference to an archaic tool for carving wood. Or perhaps he just likes the word "Adz." One cannot easily infer much from the lyrics of the title song, which are obtusely spiritual New Age-ish rambling. The music on the album is rich and atmospheric, if not as disciplined as the work on Stevens's much celebrated song cycle Illinois (2005), the first record in an intended series of 50 albums about the states of the Union. Stevens has been drifting away from acoustic indie folk into electronica, and the oozing mercuriality of his new sound fits the cryptic lyrical content. It's easy to mistake The Age of Adz as mere pretension. Its contrarianism is overly self-conscious, yes—but so is mine, and let's not hold that against us.